Katrina Kaif and Ranbir Kapoor is not in the mood of accepting their relationship publicly.The hot B-town couple is seen everywhere together and claims that they are friends.Even B-town beauty and Ranbir kapoor's cousin sister Kareena Kapoor khan called Katrina Kaif her sister-in-law (Bhabhi) on national television in Koffee with Karan. The couple is shying to name their relationship this time.But the duo is getting failed to hide their relationship.Media had captured them together at various different places.Ranbir and Kapoor son is dating from many years and sources claimed that London beauty Katrina Kaif is the main reason behind Ranbir Kapoor and Deepika Padukone's break-up. The couple is getting closer day by day.They both captured at many events together like on Kaitrina's B'day, Ibiza beach, Karan Johar's house and latest on the special screening of the movie "The Wolf of Wall Street" which was hosted by Anurag Kashyap. The latest buzz is that the lovebirds are in New york for celebrating New Year together.Interesting to see secret vacations are on for the couple.Both were caught in Ibiza beach for spending the vacations.The picture went viral where Katrina Kaif was wearing unmatched clothes was spotted with Ranbir Kapoor. The duo is continuously trying to hide their relationship.Media is still waiting for their relationship status. The race for Grand Finale has been started between the contestants of Bigg Boss house. The grand finale is on 12 January 2014. Remaining contestants of Bigg boss 7 are Andy, Sangram Singh, Tanisha Mukherjee, Gauhar Khan, Ajaz Khan, Kushal Tandon, Armaan Kohli and Kamya Punjabi. Already Bigg Boss contestants have been divided into two teams for a new task called "Ticket To Finale". Bigg Boss declares that both the teams have to compete with each other. They will be given five different tasks. At the end only one contestant will be left and will be the winner of this given task. Also Bigg Boss said that the prize for this will be unique and will be beneficial to the winner as he will directly get entry into the Grand Finale of Bigg Boss 7. That would be very much challenging task for all the contestants as they have to fight for grand finale ticket. The temperature of the house has been increased and the fights are still on. This task will show who will be the part of Grand Finale. The contestants have been divided into two teams. One team is of Armaan, Tanisha, Sangram and Kamya while another team is of Kushal, Gauhar, Ajaz and Andy. Will Armaan cheated on Tanisha for securing his own position for grand finale? Temperature of Bigg Boss house is boiling at this point. Even Armaan walk to the couple Gauhar Khan and Kushal Tandon for the discussions related to eliminations. Armaan asked Gauhar and Kushal to eliminate Sangram and Andy while Gauhar was not happy with this as she does not want Tanisha to be in.At last,all three Armaan, Gauhar and Kushal decides to eliminate Ajaz Khan and Tanisha. It’s Difficult to say; only time will tell the truth. This task has turned most of the contestants selfish for sure. It would be interesting to watch Bigg Boss at this point. Only this time will show the true honest friends without being selfish. At the end of all tasks only one will be able to secure his/her position for the Grand Finale of Bigg Boss Sath 7. The Aamby Valley Indian Bridal Fashion week Finale held at Grand Hyatt from 29 Nov to 4 Dec 2013 in Mumbai. Beautiful Bollywood Celebs and gorgeous models present the elegant designer outfits on the ramp. Aditi Rao Hydari, Jacqueline Fernandez, Prachi Desai, Sophie Chaudhary, Huma Qureshi, Dia Mirza and many more were the attractions of Bridal Fashion week 2013. Dedh Ishqiya actress Huma Qureshi was also the part of the show and sizzled in printed elegant Lehnga. The gorgeous bollywood celeb Chitrangada Singh and beautiful tennis star Sania Mirza also look pretty in their designer outfits.Sania Mirza wore white and Golden color western dress while Chitrangada was looking more graceful in red dress with golden jewellery. In one word the show was steal many hearts by showing such beautiful collections at one place.Models and Celebs walked on the ramp with unique dresses including bridal as well as western outfits.In total The Aamby Valley Indian Bridal Fashion Week was complementing. In Saturday’s episode the elimination process took place. This week, Salman Khan favourite Elli got evicted from Bigg Boss house. She got fewer votes than Sophia. Mr Khan takes side of Andy and makes everyone clear that there is no fault of Andy. Salman khan makes Armaan clear that his mother asked to avoid Ajaz not Andy .Then Armaan says sorry to Andy and gave him a warm hug. Salman Khan also felt sad for her and said that even he was not expecting this. She has a brighter future after getting out of Bigg Boss house. Salman Khan is very fond of Elli. He never forgets to notice her in any episode. Even Elli likes Salman Khan. According to sources Elli is very much close to Sallu. Salman even danced on "Saathiya Ye Tune Kya Kiya, Beliya Ye Tune Kya Kiya" with Elli after she came out of the Bigg Boss house on Sunday. She was looking gorgeous in green and pink color Saree. Swedish actress was close to Sangram Singh, Andy, Sophia and Tanisha in Bigg Boss house. She was playing the game very neatly and clearly. She won millions of the hearts by her innocent behaviour in the house. Elli Avram, a Swedish girl entered into Bigg Boss house in September 2013.She looks like the sexiest actress of Bollywood Katrina Kaif. She became everyone’s favourite in a short period of time. Even the host of the show Salman Khan compares Elli with 5 year back Katrina. He said that when her Hindi reminds him of 5 years back Katrina Kaif. Elli started her Bollywood career with the movie “Mickey Virus” along with Manish Paul. Elli becomes the most favourite actress of Bollywood between the students. In some places Elli’s hot posters get banned. Now, In Bigg Boss house Sophia, Gauhar, Kamya, Sangram, Andy, Kushal, Armaan, Tanisha and Ajaz Khan are left. Payal Rohtagi may enter into Bigg Boss House through wild card entry. The reality show is becoming more controversial as there are now new wild card entrants in the show. The interesting thing is that there is an introduction of new living area called "Caravan" also for the new entrants. This living area is with 5 beds placed at one place and also there is one television placed over there. Bigg Boss also provides them some garden area for hanging out. Now, come on the point, who are the new wild card entries in Bigg Boss 7? You will get more excited when you will come to know the names of the contestants. Ajaz Khan who was the first contestant to enter into the new caravan place of Bigg boss house. Ajaz is a model and actor who also worked in "Allah ke bande". He said that he will play this game with mind. He wants to get close with Gauhar, Elli and Armaan Kohli. Ajaz thinks Gauhar’s choice is not good and claims that when he will be infront of her she will forget Kushal. Another twist in controversial reality show is the entry of Kushal’s ex-girlfriend Candy Brar. Candy is a model by profession. Now she is trying her luck in Bigg boss 7.She is the second one to enter in new caravan area of Bigg Boss. Here is also news of another wild card entry of Sofia Hayat who is singer and the actress of Superdude. Bigg boss is all set to make the reality show more controversial. It would be interesting to watch how new lovebirds Kushal and Gauhar will react in the presence of Kushal’s ex-girlfriend Candy Brar. The new wild card entries will enter into the main area only according to situation. Now it will be more interesting to watch Bigg boss Season 7.get all the latest news of Bigg boss house with us. In BB7 house , 17th day starts with another challenging task for both heaven and hell mates. Bigg Boss announced for another treatment for infected patients of hell mates and doctors Asif Azeem and Armaan from heaven were called in laboratory for the same purpose. Both were shocked to see the barber’s chair in the room and get understood what will be the treatment. Bigg Boss asked both to give 2 names from hell for this task. After discussion they decided to call Apoorva Agnihotri and Sangram in laboratory. Doctors explained to both patients for this treatment in which they will get the Mohawk style hair-cut and asked them if they refuse to do this task the hell-mates will lose one point. By seeing this, some of the outside contestants said “Yes, do it” while other said “No”. Wife of Armaan Shilpa also refused him not to do this. Kamya Punjabi and Andy asked Apoorva to go for it as they thought the doctors will not do anything with them.After listening all the comments, Apurva said “Yes”. Asif cut the hair in Mohawk style. By seeing all this, Shipa reacted very wildly and got irritated and started crying. After Apoorva, it was sangram turn. Armaan started fighting with Sangram to divert his mind. Apurva caught Armaan and explained Sangram that he is trying to divert you from doing the task. Armaan apologized for doing all this. Armaan cut the hair of Sangram is same manner. After doing the task successfully both came out of the laboratory. Hell-mates congratulated to both for their bravery. Shilpa started crying very badly after seeing his hubby’s hair .Apoorva make her smile by his bravery words. Bigg Boss announced that both heaven and hell mates have done their task successfully and also congratulate hell-mates for their bravery. Elli was seen missing her father as she always celebrated her birthday with him and this time she would n’t be with him. Apoorva and Sangram made her smile by signing songs for her and also requested Bigg Boss if they could get the cake for that occasion. Here is news of wild card entries in Bigg boss house. After elimination of Hazel Keech there are 14 contestants. The reality show is becoming popular for the fights in the house. Pratyusha banerjee and Ratan Rajput got into fight for their failed relationship. Once both discussed about their relationships with each other.Pratyusha was in news earlier before entering into Bigg Boss house for her failed relationship with her boyfriend Makrand Malhotra.She also filed a complaint against her ex-beau for abusing her and also her family. Now here is news of entering balika Vadhu’s ex Makrand Malhotra into Bigg Boss 7 through wild card entry. The show seems to be more controversial .What you think over it? Also Bangladeshi model Asif Azim is making the news for entering into Bigg boss sath 7 and considered as the first wild card entry in Bigg Boss show.Asif stated that it would not be tough to survive in Bigg boss house.He is very much excited to become the part of Bigg Boss house. We are eagerly waiting to see new wild card entries in the controversial reality show. Some contestants are being fed up by having issues with other house mates of Bigg boss. Tasks are being tougher for all day by day. Hell mates are suffering many problems due to tough tasks. Bigg Boss is another name of Controversies. Fights are going on in house.Andy is upset with Tanisha. Pratyusha was not happy with Ratan for taunting on her failed relationship. Kamya with Sangram, Armaan got into fight with Rajat. The most awaiting controversial show Bigg Boss Sath 7 started on 15 September 2013.Colors TV is broadcasting the reality show daily(Monday-Sunday) at 9 Pm. Salman Khan is hosting the show again this time too. Bigg Boss 7 becomes much special because of its “Heaven and Hell” concept. Salman Khan will appear in both angelic and devil avatar for this concept. Tanisha was the first contestant to enter in Bigg Boss house. Tanisha is the sister of the well known face of Bollywood and also one of the most talented actresses Kajol. The news was that her family was not happy for her decision to take part in Bigg Boss but she manages to handle the situation and finally become the contestant of Bigg Boss House. Pratyusha is also a small screen actress. She got the fame from the colors television show “ Ballika Vadhu”. She was also the contestant of Indian dance reality show “Jhalak Dikhhla Jaa” second season. Rajat Rawal :- Rajat is the producer of Bollywood hit movies “Ready” and “No Problem” and also he was seen in the super duper hit movie “Bodyguard” with Salman Khan. Anita Advani is Rajesh Khanna’s close friend and also live-in partner. She was in controversy when she refused not to leave the Bungalow after Rajesh Khanna’s death. Elli is non-Indian Bollywood actress. This foreign actress will be making her Bollywood debut with movie “Mickey Virus”. She will be seen opposite Manish Paul (The host of most entertaining Indian dance reality Show Jhalak Dikhhla Jaa)Elli also entered in Bigg Boss. VJ Andy/Anand Kumar :-The host of “Dare to date” the reality show based on dating. He also did hit music album “Kaliyon ka Chaman”.He also host the V channel show “Get Gorgeous 3”.He was the second contestant to enter in Bigg Boss house. Munish Armaan Kohli :- Armaan Kohli made his debut with the Bollywood film “Virodhi” but did n’t succeed in Bollywood. Now he is trying his luck in Bigg Boss. Ratan got the fame from the Indian televion serial “Agle Janam mohe bitiya hi keejo” .She is a very chirpy girl. She also worked in daily soap”Raadha ki betiyan kuch kar dikhaengi”.She is also the contestant of big reality show. Kushal Tandon :- He is an Indian television actor and best known for “Ek hazaaron me meri behna hai”.Kushal is also the contestant of the big Indian reality show. Gauhar Khan is the sister of Nigaar Khan. She also appeared in movies “OUATIM”, Rocket Singh and “Ishaqzaade” .She also became Femina Miss India. Sangram Singh :- Sangram took part in many reality shows. He was also Payal Rohtagi’s boyfriend.Now he is ready to be the part of Bigg boss. Kamya Punjabi :- She is a very well known television actress. Kamya is mostly known for playing vamp or negative type of characters in Indian TV serials.She played the character of Sindoora in Banoo main teri dulhan. Now she has become the part of the reality show. Hazal Keech :- Hazal was seen with Salman khan in Bodyguard.She is a very talented dancer.she also did item songs and also close to Salman Khan. She is also trying her luck in Bigg boss Sath 7. 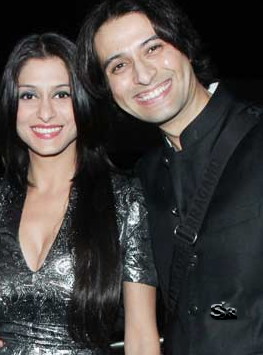 Both are well known faces of Indian television.Shilpa worked in many daily soaps and Apurva got the fame as “Armaan Suri” for “Jassi Jaisi Koi nhi”. They both are happily married after dating 6 months. The couple got the chance to be the part of Bigg Boss Family. The most awaiting day has arrived.Today was the Jhalak Super Finale. Drashti Dhami, Shaan, Sonali and lauren are the top level contestants of Jhalak Dikhhla jaa.After including the scores of last week and this week all by audience and judges,the results announced. 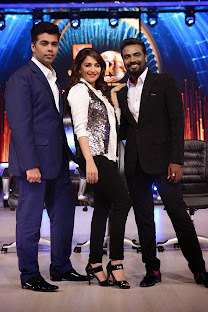 The dancing Legend Madhri Dixit left the show in between as she lost her father.So, the other two judges Karan Johar and Remo D'souza announced the results.We all missed Madhuri Dixit so much on the Jhalak Finale.Madhuri Dixit is the heartbeat of Jhalak Dikhhla Jaa and will always be. After beating Lauren, sonali and Shaan Drashti Dhami become the winner of famous dance reality show Jhalak Dikhhla Jaa. The famous television persomality with the grace of beautiful eyes and acting,Drashti Dhami wins the Jhalak Trophy.Drashti Dhami and Salman Yusuf won the battle of Jhalak and become the winner of Jhalak Dikhhla Jaa Season 6.Drashti and salman got the gift hamper of 50 lacks.The prize was given by Karan Johar and Remo D'souza. Today, Hrithik Roshan also made her appearance for the promotion of his upcoming movie "Krrish 3" along with his co-star Priyanka Chopra. Hrithik choose the Jhalak Manch as his first step for his most long awaiting dream Krrish 3.Hrithik was so impressed with Lauren Gottlieb that he even wished if Remo D'Souza plans for ABCD 2 then he would like to pair with Lauren.Remo said "Done". Jhalak dikhlaja is the number one Indian dance reality show ever. As Madhuri Dixit was not available for her performance on Jhalak Finale,Lauren and Sonali gave the performance on her behalf to entertain the audience. Jhalak Finale was super duper entertaining in the presence of Indian Superhero Hrithik Roshan.He gave cheers to all the contestants and enjoyed each moment on Jhalak till present.Hrithik groove with Madhuri Dixit.He was so excited dancing with "Diva" that he even remove his jacket and went on his knees before Madhuri.During Jhalak Finale Hrithik stated "I am a big fan of Madhuri Dixit,I love her smile and Madhuri Dixit is the most gorgeous lady in the world and her dance inspires me alot and I Love You". Madhuri Dixit replied" Even your dance inspires me and I Love You too ". Hrithik presence made everyone smile as he created the cheerful environment for everyone on Jhalak as well as for viewers of Jhalak Dikhhla Jaa. All the contestants and judges danced with Hrithik Roshan and Priyanka Chopra on the song from their upcoming movie "Raghupati Raghav" and cherished the moments on Jhalak 6 Super Finale. Mukti Mohan got eliminated in Semi Finale of Jhalak Dikhlaja. Now the popular dance reality show is left with top 4 contestants Drashti Dhami, Lauren Gottlieb, Winners of India’s Got Talent Sonali and Sumanth and super singer Shaan. The competition is going amazing and tougher for the contestants to get Jhalak trophy. 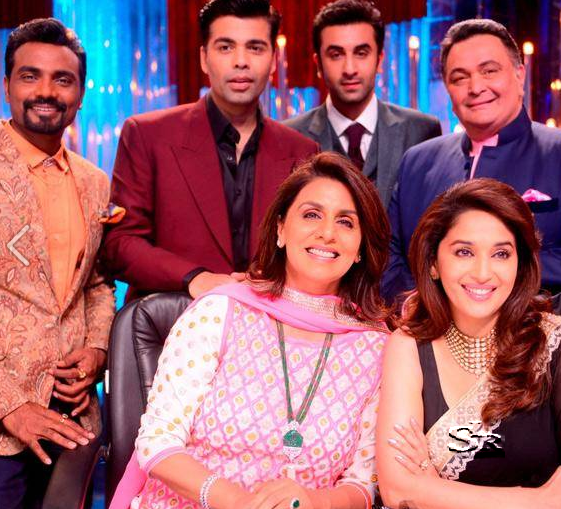 Anil kapoor and Ranbir kapoor along with his parents Neetu and Rishi Kapoor made their appearance on Jhalak Semi Final and gear with the contestants and Madhuri Dixit on the Jhalak stage. Anil Kapoor promoted his upcoming action-thriller show “24” while Ranbir Kapoor to promote his upcoming movie “Besharam”. 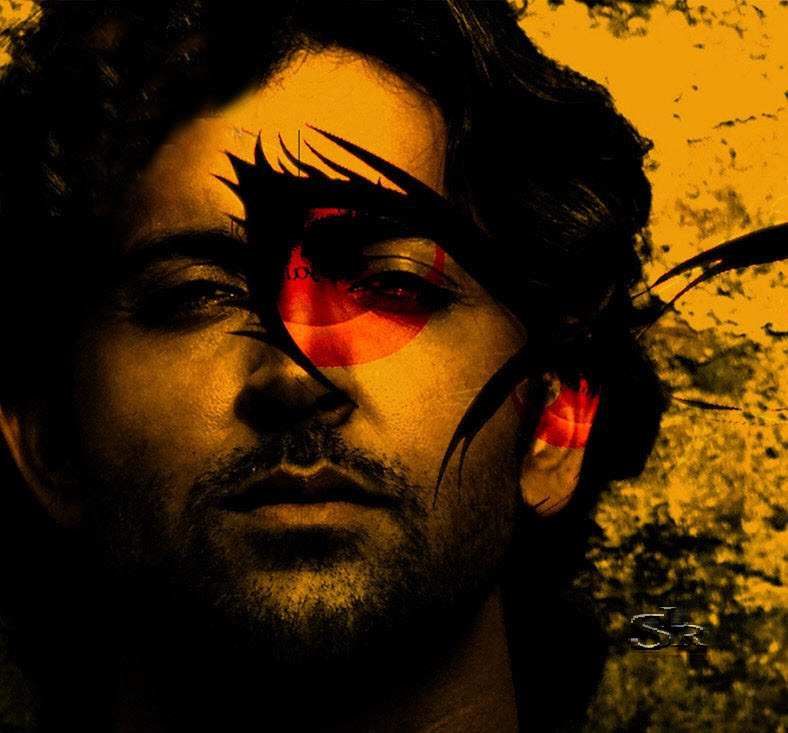 This weekend will be more interesting and entertaining as the heartbeat of million people and the great dancing star Hrithik Roshan will appear on Jhalak Dikhhla Jaa Season 6 Final to promote his upcoming movie “Krrish 3”. The contestants are also very excited and nervous also as Hrithik will also watch each and every step of the contestant. Drashti Dhami said she is full of excitement and very much nervous as she has to dance infront of dancing legend Hrithik Roshan.On the other hand foreign ki Lauren also much excited as her dream to dance with Hrithik in the final of Jhalak Dikhlaja will come true. The coming week will decide who will win the Jhalak trophy of Jhalak Dikhhla jaa Season 6.To see the fight for Jhalak trophy switch on the Colors Tv this Saturday and Sunday at 9 Pm. The dance reality show left with 5 top contestants. This week will be very special for Jhalak viewers. This weekend is much awaiting "Jhalak Dikhhla Jaa Season 6 Semi Final". Every contestant is prepared for the toughest competition on the set of JDJ. Coming week will be full of masti and dhamaal as there is the news that Bollywood Kapoors will visit the set of Jhalak to promote their upcoming movies. Madhuri dixit was very much surprised when her old and good friend Mr. Anil Kapoor visited the Jhalak munch to promote his upcoming movie ’24’ which is an action-thriller movie .Madhuri and Anil Kapoor worked together in many blockbuster movies in 80s and 90s like Beta, Tezaab, Ram Lakhan and many more. Madhuri Dixit and Anil Kapoor recreated the magic of their romance in movies by dancing to their most popular Bollywood songs “Koyal si teri boli”, “Kehdo ki tum ho meri verna” and the most popular and sizzling song “Dhak Dhak”. Madhuri dixit became very much famous by this popular song and known as “Dhak Dhak girl”. Bollywood actor Ranbir Kapoor revisited the reality show Jhalak Dikhlaja this time with his parents Rishi Kapoor and Neetu to promote their forthcoming movie “Besharam”. Ranbeer kapoor grooved with mother Neetu and father Rishi Kapoor and enjoyed a lot on the show. The trio will share the big screen space for first time Ranbeer also danced with Lauren. Manish Paul and Kapil’s jugalbandi is always on the top and very much enjoyable.The duo always make their best appearances and present well mannered hilarious antics to Jhalak viewers that is always highly appreciable. Now Jhalak dikhhla Jaa Semi Final will be held with top 5 contestants who will fight for Jhalak trophy.All the Jhalak viewers are waiting for such a delightful evening. Catch all this dhammal on Colors this Saturday and Sunday at 9Pm. On 22nd June, 2013 one more elimination came out between 10 superb dancers. Among remaining contestants, 3 contestants were in bottom three. This time Shweta Tiwari, Karanvir Bohra and Meghna Malik were in danger zone according the audience poll. Shweta Tiwari went safe by getting the highest votes. Now there was a tough competition between Meghna Malik and Karanvir Bohra. Both contestants danced very well. Both showed different and tough lifts. Now Judges had to decide the best contestant between two of them. According to Judges, Madhuri Dixit (The Dancing Legend) and Remo D’Souza, Meghna Malik was not comfort with the lifts, while Karanveer did it well & get secured and Meghna Malik got eliminated from Jhalak. But Karan Johar praised about her improvement in dancing skills. Now only 9 contestants are left. The all contestants have given a new task this week .Their task is to use household items in their dance. Each contestant will be given different household items. So get ready to see the next week’s challenging performances by your favourite dancing stars.